Sign up now and get 10 free pictures! 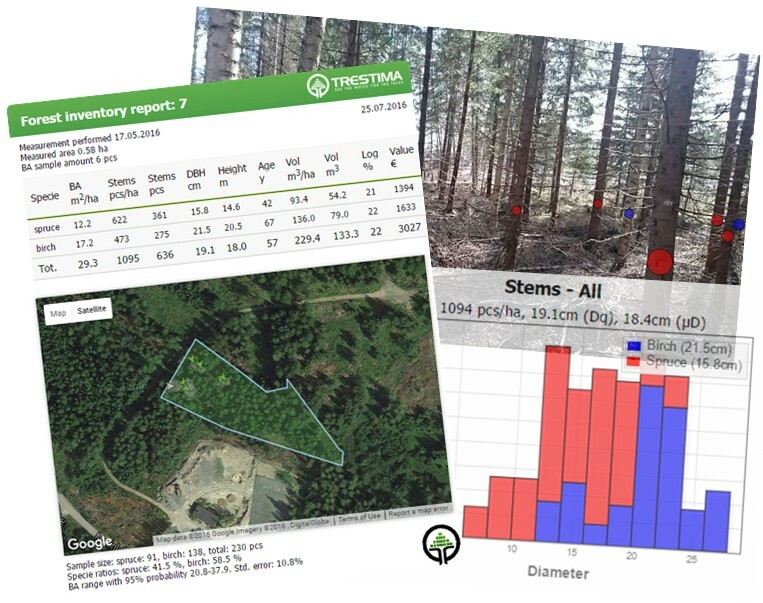 TRESTIMA™ -application makes managing your forest asset easier. Taking your forest inventory is as easy as shooting a photos with your camera. TRESTIMA™ can be used everywhere! All data gathered is accessible and manageable through our web portal for your convenience. Get reliable results with only 5-10 photos! Every photo you take will improve the result. Your measurements will be marked on the map as you go and photos will be sent to our cloud service for analyzing. Results will be updated in a few moments. 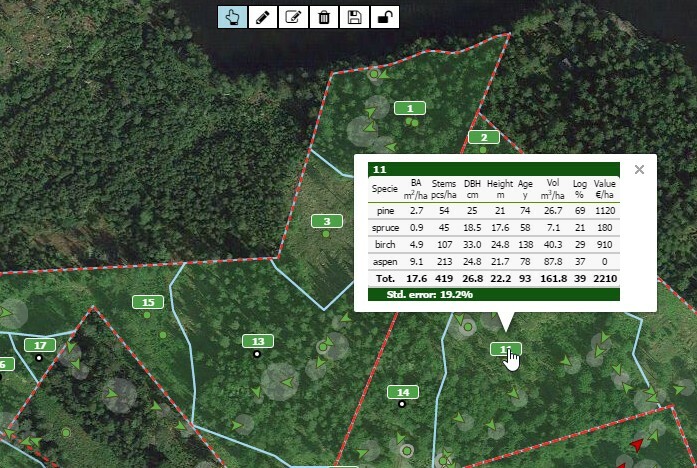 The system automatically recognizes the various tree species in the forest. Just choose the best specie profile for your purposes. The specie profile can be changed anytime from the service settings and the chosen profile will be used for upcoming measurements. For example, Nordic specie profile contains Pine, Spruce, Birch, Aspen and other species will be marked as Other. You can upload your existing stratum data and stand geometries to the system and use those to e.g. 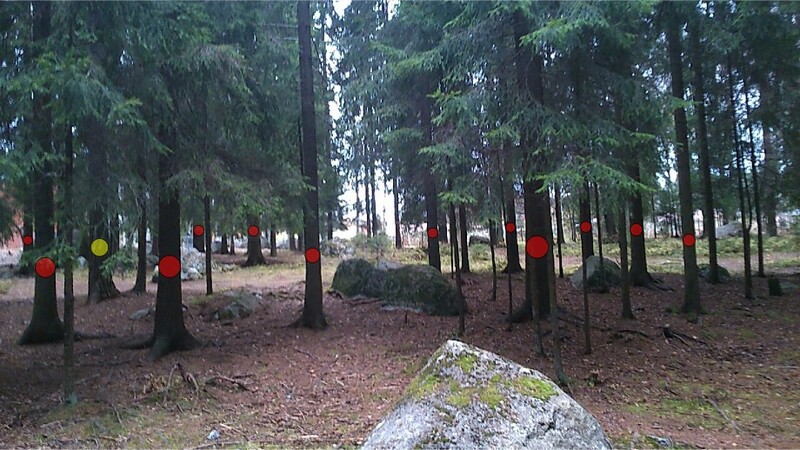 navigate in the forest. Alternatively you can use our own GIS tools to draw and modify your own figures. Detailed results will be updated after every photo taken. Find out the volume, basal area, number of trees and more. You can log in to TRESTIMA™ -cloud service anywhere and inspect all your inventories individually at a picture level if necessary. 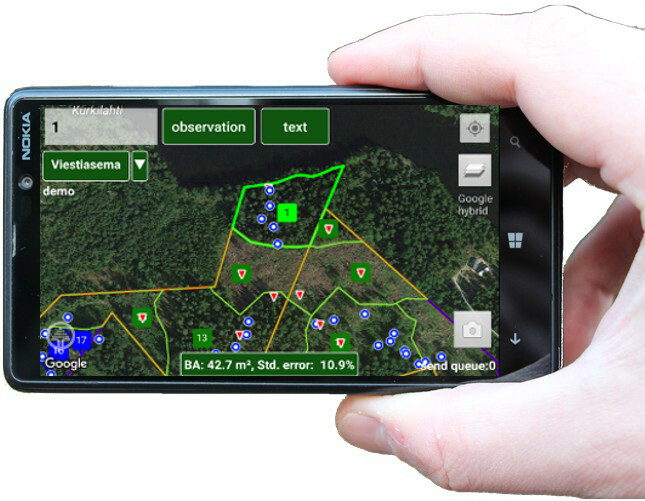 Application is free to use for forest planning and map tools. You pay only for the sample photos you take. Prices starting from 4.59€/ha (1.5€/sample) (VAT exl.). Sign up for free now and start using TRESTIMA™ and we'll give you 10 sample photos for free!